Rensselaer County State Supreme Court Justice Anthony Carpinello just got hired by the New York Power Authority as its inspector general. At $187,000, the job pays $47,300 more a year than the post Carpinello leaves at year’s end having lost the re-election in November to Democrat Patrick McGrath. 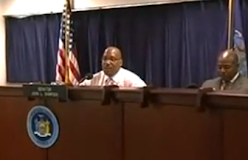 The power authority IG position has been vacant since NYPA bid goodbye to Daniel Wiese in May. 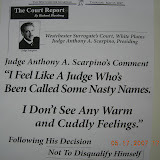 Carpinello, a Republican, served on the State Supreme Court since 1995 and was assigned to the Appellate Division since 1996. 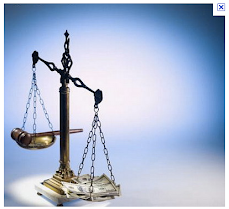 The Appellate Court post pays $139,700. JOHN and JANE DOES, 1-20, Defendants. (e) pending the hearing of plaintiff’s application for a preliminary injunction, temporarily restraining and enjoining defendants from destroying, concealing, discarding, secreting or in any way altering any portion of any files or ethics complaints involving plaintiff. 2. There is now evidence of criminal action by defendants including recent threats upon a federal witness, physical intimidation by “state actors,” and on-going ethics whitewashing. 3. I am a 79-year-old Holocaust survivor who has been fighting to recover my father’s stolen assets since shortly after my entire family was exterminated during the Holocaust. I submi this affirmation upon personal knowledge as to my own facts and upon information and belief as to all other matters. I was the person who first filed the historic “Swiss Banks” lawsuit in 1996 against various Swiss banks for looting my family assets. My case eventually became a class action, and that class action was settled on behalf of Holocaust survivors for $1.25 billion in 1998. I opted out of the settlement because involved attorneys were paying themselves millions of dollars when some Holocaust survivors and class plaintiffs had not received a penny, and others had only received a few thousand dollars. 4. I respectfully move this court for an order temporarily restraining and enjoining defendants from destroying, concealing, discarding, secreting or in anyway altering any portion of my files or ethics complaints concerning any herein defendants or any other attorney disciplinary files under the jurisdiction of defendants’ “ethics” body, the Departmental Disciplinary Committee (hereinafter “DDC”). I am extremely concerned over the DDC’s long-practiced improper manipulation of ethics complaint case files. I am well aware that I am not the lone victim of buried ethics complaints. The time has come for immediate and decisive judicial intervention. 5. It is of no surprise to me that the gross unethical misconduct and failings of Manhattan’s so-called “ethics” committee, the DDC, that I have witnessed, is the same “ethics” body that has ignored and whitewashed the outrageous conduct of legal, financial and business leaders, assisting in the current financial collapse. This court needs to know how many complaints have been filed with the DDC against our so-called financial and legal leaders over the last ten years. The refusal of the DDC to properly oversee the ethics failings of attorneys under its jurisdiction has harmed me greatly over the last ten years. And the knowing failure by the DDC to uphold ethics of any kind not only continues to harm me but the stability of the world’s financial, legal and business communities. 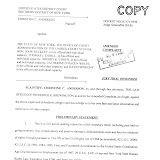 Unless this order is issued, I will suffer immediate and irreparable injury, loss and further damage in that my constitutional right to fair proceedings will not be possible if defendants are allowed to continue their practice of altering and “cleansing” file documents to support whatever improper purposes may be served in furtherance of defendants’ manipulated “findings” involving complaints against select attorneys. DDC staff attorney, was threatened by a DDC Supervising Attorney! 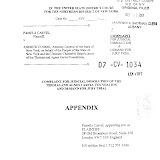 I am also informed that the NYS Office of Court Administration Inspector General, Sherril Spatz, investigated the matter and that the DDC Supervising Attorney who threatened the federal witness was transferred out of the DDC’s Broadway offices to another location. 7. I request a public hearing before this Honorable Court because I believe testimony will support my request for this Court’s appointment of a federal monitor. 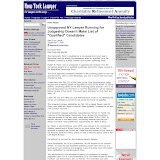 Given the facts that: (1) Anderson (an attorney) alleges the “whitewashing of ethics complaints” at the DDC where she was employed; and (2) another DDC attorney has complained of “witness intimidation,” I respectfully submit that this Honorable Court must officially refer these allegations to the U.S. Attorney’s Office for investigation. 9. I believe testimony by elected judges of this state at a public hearing before this Honorable Federal Court will clearly show, and fully support, the urgent need for this Honorable Court’s immediate appointment of a federal monitor over the Manhattan DDC “ethics” committee. 10. 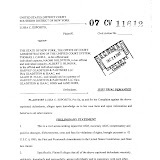 I learned that defendants Fagan and Urbach, working together against me, participated in a scheme to perpetrate a fraud upon the court involving a document purporting to be a 1997 “amended complaint in the Swiss Banks action, but it was actually a document backdated and improperly manufactured in or about 2000. 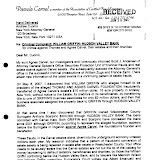 I also provided evidence to the DDC that defendant Fagan committed gross attorney misconduct regarding conversion of escrow account in the amount of $82,583.04 in another matter involving my role as a fiduciary in The Estate of Jack Oestreicher. The DDC’s improper whitewashing of ethics complaints cannot await another Madoff-size disaster- this court must, I respectfully submit, take action now. I will be irreparably harmed, and further damaged, if the defendants are allowed to further “cleanse” my attorney ethics complaints now before the DDC. 11. The defendants’ collective failure to oversee or correct attorney misconduct confirms their inability, or lack of desire, to perform their trusted duty of attorney ethics oversight. Witness attorneys at the Dreier Law firm. Upon information and belief, the Dreier Law firm was a large “protected” Manhattan law firm, immune from any real ethics accountability. Clearly, the state defendants are not capable of overseeing the misconduct of any attorney under its charge. In addition, and because the involved attorney misconduct was by select members of the bar, the defendants have little time, and less desire, to address any attorney misconduct. The defendants’ collective continuation of neglecting their duty requires the immediate appointment of a federal monitor. of the New York State court system, the DDC is obligated and duty-bound to administer justice in a fair, honest and lawful manner. They have failed this obligation and in doing so have, and continue to, violate federal laws. 13. I recently became aware of the fact that the pattern of improper acts within the DDC has been the rule and not the exception-- egregious violations that continue to harm my right of due process and equal access, and actions that only serve to further the improper and selective enforcement of attorney ethical investigations. 14. As a result of flagrant abuse and neglect of duty in and about the DDC in 1988, according to The Murphy Report (attached hereto as Exhibit “C”), the DDC office locks were changed, and the two top DDC administrators were forced to resigned by then Appellate Division, First Department Presiding Justice Francis T. Murphy. 17. 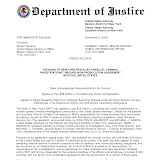 The collection of filed cases in the Southern District of New York alone tells of the continuing, and too-long accepted, “unethical conduct” of the DDC, and it speaks loudly to the urgent need for this Court’s immediate intervention by appointment of a federal monitor over all day-to-day operations of state actors at the DDC. The continuing inaction of DDC’s duty to properly oversee attorney ethics requires this court’s immediate action of appointing a federal monitor over the DDC so that the violations of federal laws harming me and all others similarly situated may, finally, come to an end. 18. I have a Constitutional right to a fair, lawful and honest judicial system, free from corruption, oppression, self-dealing and bias, with impartial arbiters of the law. I have no other adequate remedy of law, and have not previously sought the relief herein requested. 19. I respectfully request that a hearing being held on the herein sought relief and, further, that I be permitted to present the brief testimony of approximately ten credible witnesses. other and further relief that may be just and proper. 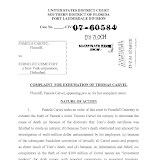 The undersigned declares under penalty of perjury that she is the plaintiff in the above action, that she has read the above and that the information contained in the complaint is true and correct, 28 U.S.C. § 1746; 18 U.S.C § 1621. ORDERED, that personal service of a copy of this order and annexed affirmation upon the defendants or counsel on or before _________ o’clock in the ____________noon ____________, 200__ shall be deemed good and sufficient service thereof. ALBANY - The state's highest court Monday blocked a newly-elected Manhattan judge from taking office because of charges she violated campaign finance laws. The Court of Appeals, in a one paragraph decision, indefinitely suspended Surrogate Court Judge-elect Nora Anderson with pay, effective Jan. 1. "She's suspended until these criminal charges are resolved," said Gary Spencer, a court spokesman. Manhattan District Attorney Robert Morgenthau has accused Anderson of financing her campaign for Surrogate Court with illegal contributions from Brooklyn trusts and estates lawyer Seth Rubenstein. Anderson, 56, has pleaded not guilty. Gus Newman, Anderson's lawyer, did not immediately respond to a telephone call seeking comment. Newman has argued that Anderson is qualified to be a surrogate's judge, where she would preside over estates of the dead. 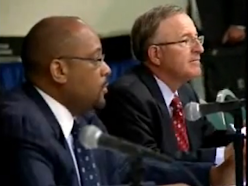 The Court of Appeals' ruled unanimously with one abstention to suspend Anderson. Chief Justice Judith Kaye, who is retiring, did not participate in the decision. DECEMBER 29, 2008 - No. 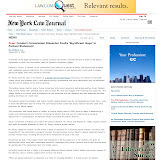 226 - On the Court's own motion, it is determined that the Honorable Nora S. Anderson is suspended, with pay, from the office of Surrogate, New York County, effective January 1, 2009, pursuant to NY Constitution, article VI, § 22 and Judiciary Law § 44(8). Judges Ciparick, Graffeo, Read, Smith, Pigott and Jones concur. Chief Judge Kaye took no part. Decided: November 20, 2008 - Surrogate Anthony A. Scarpino Jr. 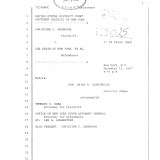 In these three probate proceedings in the estate of Brooke Russell Astor, the court issued a decision and order dated September 5, 2008 (the "September 5, 2008 order"), in which it ordered, among other things, (1) that by November 17, 2008, Anthony Marshall "must turn over to the court only, all documents responsive to the discovery notices over which he asserts any privilege" for an in camera review and (2) "a privilege log which complies with CPLR 3122[b] and which states as to the privilege against self-incrimination as to each document, specific facts as to why the production is both testimonial and incriminating and as to each other privilege as to each document, why that privilege is claimed." 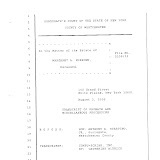 The September 5, 2008 order went on to read that "[t]hereafter, the court will render a decision on the production of the documents against which the privilege against self-incrimination has been asserted", that "[w]ith respect to those documents over which the privilege against self-incrimination and other privileges were asserted but which the court finds the privilege against self-incrimination unsupported, the court will order the production and service of a privilege log with respect to these documents only on all parties (exclusive of the District Attorney)" and that "[u]pon receipt of the privilege log, the Attorney General may renew his motion to compel document discovery." 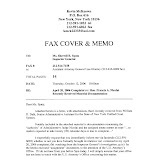 By letter dated Friday, November 14, 2008 (faxed to the court at 10:43 p.m. and emailed to the court at 10:51 p.m.), counsel for Mr. Marshall wrote that the September 5, 2008 order had been appealed to the Appellate Division, Second Department; that on October 27, 2008, Mr. Marshall moved by order to show cause to that Court for a stay of the September 5, 2008 order pending the appeal and a preference; that the order to show cause was signed on that date with the stay intact; and that on this date, counsel had been advised orally by a clerk of the Appellate Division, Second Department, that the Court had decided the motion, denying the stay and granting the preference. 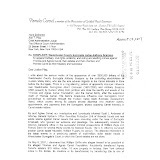 The letter went on to request that this court should stay the September 5, 2008 order, sua sponte, pending the appeal and listed reasons for that request. 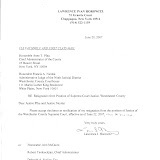 Upon receipt of counsel's letter on November 17, 2008, the court declined to modify its September 5, 2008 order. 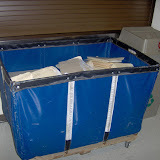 The binders inside the box had labels on them which stated that the documents were for "Surrogate Scarpino's eyes only." Also attached to the box, was a sealed envelope addressed to the Surrogate which contained a letter. The Chief Clerk of the court cursorily reviewed the contents of the letter (which appeared to contain additional legal argument concerning the production of the privilege log and the documents) and returned the letter to counsel for Mr. Marshall as it constituted an ex parte communication with the court. Counsel for Mr. Marshall retrieved a second copy of the letter from the box. 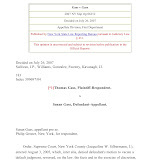 As a preliminary matter, despite the clearly proscriptive labeling by Mr. Marshall's counsel on the outside of the box and the binders that the documents and privilege log are to be reviewed by the Surrogate only, these documents will be reviewed by the court in accordance with Canon 3[B][c] of the Code of Judicial Conduct which provides that "a judge may consult with court personnel whose function is to aid the judge in carrying out the judge's adjudicative responsibilities or with other judges". Next, the court notes that the privilege log submitted by counsel for Mr. Marshall does not appear to be in compliance with the requirements set forth in this court's September 5, 2008 order. The Fifth Amendment privilege is the only privilege set forth in the log. 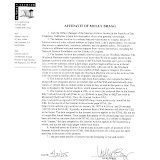 As quoted above, the September 5, 2008 order clearly stated that all privileges that Mr. Marshall intended to assert with respect to each document needed to be set forth in the log. 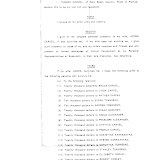 If Mr. Marshall asserts no other privileges (which assertion appears contrary to representations made in his March 2008 motion papers), then by affidavit his counsel shall notify the court by November 26, 2008, that he intends to assert no other privileges. 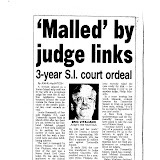 If Mr. Marshall intends to assert other privileges, then, by December 8, 2008, his counsel shall submit a revised privilege log to the court which complies with the requirements set forth in the September 5, 2008 order. The hunt for funds allegedly cheated out of investors by Bernard Madoff, who faces fraud charges in New York, has turned to offshore tax havens where investigators believe he may have salted away hundreds of millions of dollars. Stephen Harbeck, chief executive of America's Securities Investor Protection Corporation (Sipc) and official receiver of Madoff's now defunct brokerage business, said the hunt for funds was likely to spread all over the world. "We will trace funds wherever the trail goes," he said on the steps of the US Bankruptcy Court for the Southern District of New York. Sources close to the investigation said forensic accountants examining Madoff's books believed he had regularly sent large sums of money to offshore accounts in the Caribbean and Europe. "There are accounts at New York Mellon Bank that we have been looking at that appear to have sent and received money from offshore locations," a senior source said. Tracking down the money investors entrusted to Madoff is likely to be one of the longest and most complicated financial investigations on record. Harbeck said investigators were dealing with a "highly complex hybrid fraud", adding each individual investment account operated by Madoff could be its own self-contained fraud. "But it is still too early to say with any certainty what was going on inside Madoff's business." The scandal took a chilling turn last week when Rene-Thierry Magon de la Villehuchet, the co-founder of a firm that lost millions investing with Madoff, was found dead in his New York apartment. Access International Advisors - Magon de La Villehuchet's firm - is understood to have lost $1.5bn in the Madoff affair. On the same day a New York judge ruled that Madoff's investors would receive no more than $100,000 in cash compensation, no matter how much they lost. The ruling was included in a series of court orders made on 23 December by US bankruptcy judge Burton Lifland. For the biggest losers in the Madoff scandal, the compensation is a drop in the ocean. Fairfield Greenwich, the investment firm run by Madoff chum Walter Noel, lost $7.5bn in the fraud while womenswear magnate and Madoff mentor Carl Shapiro lost $545m of his personal fortune. Claims for compensation will be restricted to those investors who can prove they sent money to Madoff in the 12 months prior to his arrest on 11 December. Judge Lifland invited Madoff investors to attend a meeting at the US Bankruptcy Court on 18 February. You would think the Attorney-Client Fee Dispute Resolution Program would bend over backward to protect the client. According to at least one judge, you would be wrong. Imagine that you bought a car, and the dealer signed a warranty promising your money back if a serious defect was found. A few weeks later, your transmission locks up. You ask the dealer for your money back. But he refuses to honor the document, because he says he had given you an improperly printed warranty. How could that be your fault? You’d go to the Better Business Bureau, right? Well, check out this revisionist doozy by a local attorney against his client. 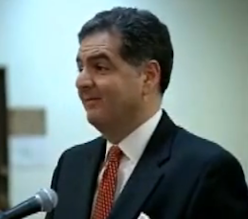 Paul H. Altman, a father involved in a dispute with his former girlfriend over visitation rights to their son, had a falling out with his lawyer, Richard L. Gold of Morelli & Gold, LLP. They disagreed about legal fees. 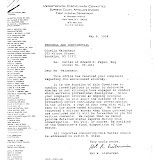 The retainer agreement prepared by Gold in anticipation of such a possibility declared that Altman had "an absolute right to have those disputed fees resolved through arbitration which will be binding upon both our firm and yourself." They went to arbitration. The arbitrators ruled in Altman's favor, ordering the lawyer to waive some $20,000 at issue and further requiring him to refund an additional $5,000. But then the lawyer sought a whole new trial of the fee dispute. 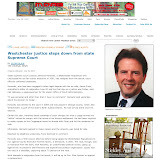 He said he had not waived his right to a trial, because the retainer agreement that he had drafted had not incorporated a pre-printed form that he claimed the New York State Court System required. Rough translation: "That 'binding' arbitration I promised you was actually 'non-binding.' I get a do-over." On its face, this sounds manifestly unfair and a threat to legal consumers everywhere. On the other hand, readers of Dickens or Kafka know full well that black-letter law can be an unforgiving master. So perhaps it should not have shocked the conscience in July when Manhattan Supreme Court Justice Carol Robinson Edmead ruled that the lawyer was right in the decision, Morelli & Gold, LLP v Altman. 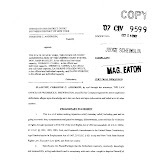 Edmead found that the attorney was not bound by the “binding” arbitration, because the retainer agreement did not contain "the express waiver language required by [Part] 137.2(c)." That was a reference to the rules governing New York’s Attorney-Client Fee Dispute Resolution Program. Justice Edmead concluded that Gold's entirely new lawsuit could proceed. (Altman, who lives in Florida, would now have to buy more plane tickets and spend more money to rebuild his case to present in a New York courtroom.) The key part of Edmead's ruling turned on her interpretation of one sentence in the statute that addresses consent in advance for the arbitration to be binding (with no further new trial permited): “Such consent shall be in writing in a form prescribed by the Board of Governors.” What does “in a form” mean? Pointing to the law Altman argued that “in a form” meant “in a manner,” as opposed to a pre-composed document. But, ignoring that contention in her decision, Edmead agreed with Gold that the phrase referred to a specific piece of paper, or at least the "express waiver wording" contained in that specific piece of paper, kept on file by the court system. There’s your Dickens moment — Altman done in by a technicality. But wait. The fee dispute program is overseen by a board of governors that is the official authority on guidelines interpreting the statute. Those guidelines explain that this special language is only required to be in place to ensure that the waiver is “valid on the part of the client.” In other words, the provision was made to protect a client — as opposed to a lawyer — from unwittingly surrendering a right. By that logic, since the special language wasn’t used, the client should be the only one who has the right to decide if he or she wants a new trial. The attorney should have to live with the wording of his own retainer. Bemused by all of this, we called the chairman of the fee dispute oversight board, Guy Mangano, a former Presiding Justice in the New York Court System. Did he think that a client was required to use a specific, pre-printed form to prevent a lawyer from slipping out of an arbitration? Mangano hemmed and hawed, but did not give a definitive answer. He declined to comment on the Altman case, per se, which is understandable since it’s on appeal. 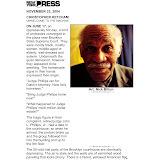 But he acknowledged his awareness of Altman’s argument about what the statute meant. “We’re looking into this,” he said. “It’s been referred to the legal issues committee. If it’s something that needs to be corrected, it will be corrected. If it’s not, it won’t.” But if the chairman of the oversight board can’t say for sure what the statute means, how is a client supposed to know that he can’t trust the plain wording of the retainer agreement presented to him by an attorney? Granting clients the right to take fee disputes to mandatory arbitration was one of a series of reforms recommended in 1995 by a commission appointed by Chief Judge Judith S. Kaye. 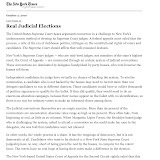 Its purpose: to restore "public confidence in the entire legal system" — which, she said, had become "seriously eroded." If lawyers can rely on their own errors to force clients to draft their own consumer protections, that erosion of public confidence will turn into a mudslide. DISCIPLINARY proceeding instituted by the Grievance Committee for the Second and Eleventh Judicial Districts. The respondent was admitted to the Bar at a term of the Appellate Division of the Supreme Court in the Second Judicial Department on May 19, 2004. 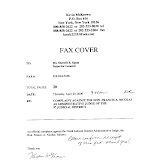 Diana Maxfield Kearse, Brooklyn, N.Y. (Susan Korenberg of counsel), for petitioner. 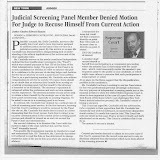 PER CURIAM.By decision and order on motion of this Court dated March 27, 2008, the respondent was suspended, pursuant to 22 NYCRR 691.4(l)(1)(i), upon a finding that he was guilty of serious professional misconduct immediately threatening the public interest based upon his failure to comply with the lawful demands of the Grievance Committee for the Second and Eleventh Judicial Districts (hereinafter the Grievance Committee), the Grievance Committee was authorized to institute and prosecute a disciplinary proceeding against the respondent, and the issues raised were referred to the Honorable Herbert Altman as Special Referee to hear and report. 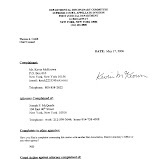 Pursuant to this Court's decision and order on motion dated March 27, 2008, the respondent was directed to submit an answer to the petition within 20 days after service upon him of a copy of that order. 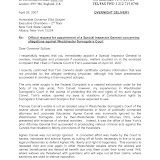 The order was served on the respondent on April 2 and April 3, 2008, in the manner designated by the order to show cause dated January 17, 2008, by mailing copies to the address at which he is registered with the Office of Court Administration, the address on his driver's license [*2]and vehicle registration, and the address where his wife currently resides, and by affixing copies to the front door of each of those residences. The petition contains one charge of professional misconduct alleging that the respondent failed to cooperate with three investigations into allegations of his professional misconduct. 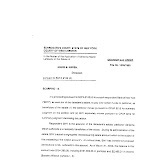 Notwithstanding efforts to effect service upon the respondent as authorized by this Court in the order to show cause dated January 17, 2008, the respondent has failed to file an answer as directed by the Court's decision and order on motion dated March 27, 2008. Accordingly, he is in default and the charge against him must be deemed established (see Matter of Anello, 228 AD2d 1). The Grievance Committee thereupon moves for an order adjudicating the respondent in default, deeming the charge established, and directing that the respondent, a suspended attorney, be disciplined upon the charge set forth in the petition. Although served with this motion by mailing copies to the three aforementioned residences and affixing copies to the front door of each of those premises, the respondent failed to reply. Significantly, the respondent failed to submit any opposition to the Grievance Committee's earlier motion, inter alia, to suspend him. He is, thus, in default. Accordingly, the Grievance Committee's motion is granted, the charge contained in the petition is deemed established and, effective immediately, the respondent is disbarred and his name is stricken from the roll of attorneys and counselors-at-law. PRUDENTI, P.J., RIVERA, SPOLZINO, SKELOS and BALKIN, JJ., concur. ORDERED that if the respondent, Donnahue G. George, has been issued a secure pass by the Office of Court Administration, it shall be returned forthwith to the issuing agency and the respondent shall certify to the same in his affidavit of compliance pursuant to 22 NYCRR 691.10(f). [*1]In the Matter of Melvyn I. Weiss, (admitted as Melvin Irwin Weiss), an attorney and counselor-at-law: Departmental Disciplinary Committee for the First Judicial Department, Petitioner, Melvyn I. Weiss, Respondent. Disciplinary proceedings instituted by the Departmental Disciplinary Committee for the First Judicial Department. Respondent, Melvyn I. Weiss, was admitted to the Bar of the State of New York at a Term of the Appellate Division of the Supreme Court for the Second Judicial Department on April 2, 1960. (Raymond Vallejo, of counsel), for petitioner. No appearance for respondent. 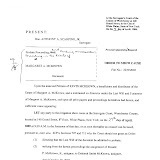 Respondent Melvyn I. Weiss was admitted to the practice of law in the State of New York by the Second Judicial Department on April 2, 1960, under the name Melvyn Irwin Weiss. At all times relevant to this proceeding, respondent was a named partner with the law firm formerly known as Milberg Weiss Bershad & Schulman LLP ("Milberg Weiss"), located within the First Judicial Department. 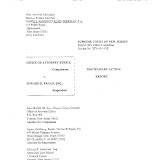 The Departmental Disciplinary Committee now seeks an order, pursuant to Judiciary Law § 90(4)(a), striking respondent's name from the roll of attorneys on the ground that he was automatically disbarred as a result of his conviction of a federal felony that would also constitute a felony under New York law (Judiciary Law § 90[e]). Although served with this petition, respondent has not submitted a response. On April 2, 2008, respondent was convicted, upon his guilty plea, in the United States District Court for the Central District of California of racketeering conspiracy in violation of 18 USC § 1962(d), a felony under the United States Code. On June 2, 2008, respondent was sentenced to a term of imprisonment of 30 months, three years of supervised release, and ordered to pay a fine of $250,000. In addition, respondent agreed to forfeit $9.75 million (amounting to net proceeds earned from the racketeering conspiracy). According to the fourth superceding information, Milberg Weiss constituted an enterprise specializing in representing plaintiffs in class actions and shareholder derivative actions. 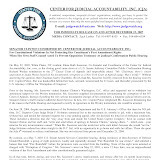 Respondent admitted in his plea allocution and plea agreement, read in conjunction with the information, that he possessed substantial control over the management and control of Milberg Weiss' business affairs and he joined in an illegal agreement among two or more individuals employed by or associated with Milberg Weiss to conduct the firm's affairs through a "pattern of racketeering activity," knowing of its object and intending to help accomplish it. It was further part of the conspiracy that respondent agreed that a conspirator would commit at least two racketeering acts in the conduct of the affairs of the enterprise. Specifically, respondent admitted that beginning around the 1970's and continuing at least into 2005, he and other individuals at Milberg Weiss, entered into secret, illegal kickbacks with a cohort of persons who were essentially on call to act as lead plaintiffs in class actions. The Milberg Weiss partners who agreed to this secret pay arrangement to certain named plaintiffs included, among others, William Lerach, David Bershad, and Steven Schulman ("the conspiring partners"). 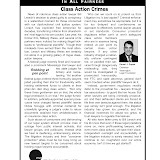 The individuals, who received the secret kickbacks to serve as lead plaintiffs in the class actions ("paid plaintiffs") included Howard Vogel, Seymour Lazar, Steven Cooperman and three individuals who resided in Florida. This arrangement permitted Milberg Weiss to file lawsuits faster and to gain the position as lead counsel to receive higher legal fees. 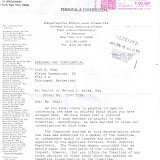 Respondent further admitted that he agreed to the secret payment agreement between Milberg Weiss and Lazar; he was aware of the payment arrangements between Milberg Weiss and the Florida plaintiffs, and personally made a cash payment to one of those plaintiffs in the late 1980's; and he was aware of the payment arrangement between Milberg Weiss and Cooperman, to whom he personally made at least one payment by check. In addition, respondent and others caused Milberg Weiss to issue checks to intermediary law firms, lawyers and other professionals with the intent and understanding that the money would be distributed to the paid plaintiffs. Respondent and others' also knew that although these payments were falsely described [*3]as, among other things, "referral fees" or "professional fees" owed by Milberg Weiss to the intermediaries, they were actually disguised kickbacks to the paid plaintiffs. Additionally, respondent and others knew they had to conceal their payment scheme with the paid plaintiffs from the federal and state courts presiding over the class actions by making and causing to be made false and/or misleading statements in documents filed in class actions (including complaints, motions and certifications) and in testimony and discovery documents. Absent such concealment, there was a risk of disqualification because the kickbacks created an apparent conflict of interest between the paid plaintiffs and the class members they purported to represent. Respondent admitted that he knew the secret arrangement was improper. 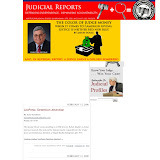 Among the false and/or misleading statements one or more of the conspiring partners caused to be submitted to the court in connection with four class actions were certifications by Cooperman, Lazar, and Vogel that they would not accept any payment for serving as a representative party beyond their pro rata shares of any recovery. 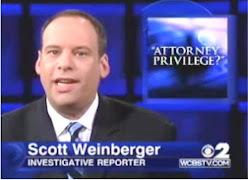 These certifications falsely represented the true nature of Milberg Weiss' payment arrangement with the paid plaintiffs and constituted four racketeering acts that formed a "pattern of racketeering activity" under 18 USC § 1961(1) and (5). A conviction of a federal felony does not trigger automatic disbarment unless the offense would also constitute a felony under the New York Penal Law (Matter of Sorin, 47 AD3d 1 ). The federal felony need not be a "mirror image" of the New York felony, corresponding precisely in every detail, but it must have essential similarity (Matter of Margiotta, 60 NY2d 147, 150 ). Essential similarity may be demonstrated by reviewing evidentiary materials such as admissions made under oath in the respondent's plea that the Court may read in conjunction with the indictment or information (Matter of Amsterdam, 26 AD3d 94, 96 ; Matter of Mercado, 1 AD3d 54, 55-56 ). Respondent was convicted of racketeering conspiracy under 18 USC § 1962(d). 18 USC § 1962(d) states that "[i]t shall be unlawful for any person to conspire to violate any of the provisions of subsection (a), (b), or (c) of this section." Subsection (c) prohibits participation in the conduct of an "enterprise's affairs through a pattern of racketeering activity ***." 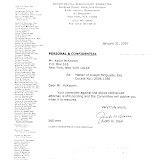 A person is guilty of the felony of enterprise corruption in violation of New York Penal Law § 460.20 when, "having knowledge of the existence of a criminal enterprise and the nature of its activities, and being employed by or associated with such enterprise, he [ ] intentionally conducts or participates in the affairs of an enterprise by participating in a pattern of criminal activity." 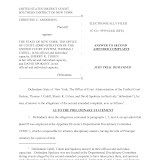 In Matter of Schulman (51 AD3d 220 ), another disciplinary matter arising out of the same illegal activity, this Court found essential similarity between the New York State felony of enterprise corruption in violation of Penal Law § 460.20 and racketeering conspiracy under 18 USC § 1962(d). Clearly respondent's admissions come under subsection (c) because, inter alia, respondent admitted that he engaged in a "pattern of racketeering activity" and that on at least four separate occasions he knowingly participated in the filing of falsified documents to the courts. Thus, the activities to which respondent admitted are essentially similar to the New York felony of enterprise corruption under Penal Law § 460.20. Therefore, automatic disbarment under Judiciary Law § 90(4)(a) is appropriate. (Penal Law § 175.35)(see Matter of Amsterdam, supra [attorney's conviction of conspiracy to defraud the U.S. was essentially similar to offering a false instrument for filing in the first degree]). Thus, respondent's admissions of criminal conduct also satisfy the elements of the New York felony of offering a false instrument for filing in the first degree (PL § 175.35). 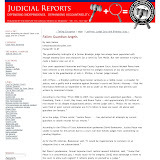 Accordingly, the Disciplinary Committee's petition should be granted and respondent's name stricken from the roll of attorneys pursuant to Judiciary Law § 90(4)(a),(b), nunc pro tunc to April 2, 2008. Mazzarelli, J.P., Buckley, Acosta, Renwick, and DeGrasse, JJ. 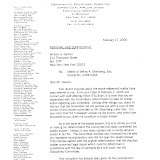 Respondent's name stricken from the roll of attorneys and counselors-at-law in the State of New York, nunc pro tunc to April 2, 2008. Opinion Per Curiam. All concur. Feds to Citizens: "What Fraud?" WASHINGTON — Federal officials are bringing far fewer prosecutions as a result of fraudulent stock schemes than they did eight years ago, according to new data, raising further questions about whether the Bush administration has been too lax in policing Wall Street. Legal and financial experts say that a loosening of enforcement measures, cutbacks in staffing at the Securities and Exchange Commission, and a shift in resources toward terrorism at the F.B.I. have combined to make the federal government something of a paper tiger in investigating securities crimes. At a time when the financial news is being dominated by the $50 billion Ponzi scheme that Bernard L. Madoff is accused of running, federal officials are on pace this year to bring the fewest prosecutions for securities fraud since at least 1991, according to the data, compiled by a Syracuse University research group using Justice Department figures. There were 133 prosecutions for securities fraud in the first 11 months of this fiscal year. That is down from 437 cases in 2000 and from a high of 513 cases in 2002, when Wall Street scandals from Enron to WorldCom led to a crackdown on corporate crime, the data showed. At the S.E.C., agency investigations that led to Justice Department prosecutions for securities fraud dropped from 69 in 2000 to just 9 in 2007, a decline of 87 percent, the data showed. Federal officials took issue with some of the data compiled by the Syracuse group and said that they had maintained a strong commitment to rooting out fraud and abuse in the stock markets. While the S.E.C. could not provide numbers of its own on criminal cases arising from its investigations, Scott Friedstad, the deputy director of enforcement at the commission, said the numbers did not reflect “the reality that I see on the ground.” “We are as committed as ever to vigorous enforcement efforts,” he said. But a number of investor advocates and securities lawyers who are critical of the S.E.C.’s recent performance say they will be anxiously watching the incoming Obama administration to see what steps it may take to restore the agency’s battered credibility and re-establish it as a watchdog against corporate abuse. The economic collapse of the last few months has brought intense scrutiny of the S.E.C. amid accusations that it failed to foresee and prevent the collapse of one major financial institution after another as a result of risky overinvestment in mortgage-backed securities. 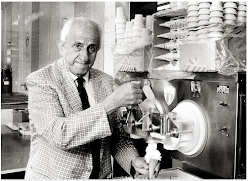 “As an overheated market needed a strong referee to rein in dangerously risky behavior, the commission too often remained on the sidelines,” Arthur Levitt, who served as chairman of the S.E.C. during the Clinton administration, told the Senate Banking Committee in October. The Madoff scandal, now under investigation by federal prosecutors in Manhattan, has ratcheted up criticism even further. Christopher Cox, chairman of the S.E.C., ordered an internal investigation last week into what he said were the agency’s “multiple failures” to investigate credible allegations of wrongdoing by Mr. Madoff. The S.E.C.’s own data suggests that the agency has put increasing emphasis on using non-criminal means, like civil fines and what are known as deferred prosecution agreements, in dealing with allegations of wrongdoing. The number of S.E.C. cases handled through civil or administrative remedies has grown from 503 in 2000 to 636 this year. Critics of the S.E.C. also attribute the decline in criminal cases to shortages in staffing and resources in the agency’s investigative units, policy changes that have reduced the authority of investigators to pursue cases on their own, and a “revolving door” phenomenon that has led investigators to leave the agency for high-paying jobs in the industry that they once helped to monitor. Another shoe has dropped in the case of fallen lawyer Marc Dreier, who’s alleged to have perpetrated a massive fraud against a group of hedge funds. In a criminal complaint, prosecutors are attempting to tie a former broker, Kosta Kovachev, to the fraud. Kovachev was charged with one count of conspiracy to commit wire fraud. The complaint alleges, among other things, that Kovachev pretended to be the controller of a realty company to effect a meeting with a hedge fund. (We’ve confirmed that the company was New York-based Solow Realty, though the name is not in the complaint.) Dreier purported to sell promissory notes on behalf of the realty company, but the notes were fictitious, according to the complaint. Federal officials have said that Solow was uninvolved. Dreier and Kovachev have crossed paths before. This 2004 NYT article, which details a legal skirmish between New York real estate competitors Sheldon Solow (owner of Solow Realty) and Peter Kalikow, tells the following story. Kalikow sued Solow, believing he was responsible for newspaper ads listing more than 400 creditors from Kalikow’s personal bankruptcy proceeding in 1991. The ads suggested that Kalikow had misled the bankruptcy court about the extent of his assets. But the bankruptcy had been settled years before, and there were no outstanding creditors. At that time, Solow’s law firm was Dreier LLP, according to the Times. And here’s where Dreier and Kovachev come in: At the bottom of the ads was the name of a company, Evergence Capital Advisors, and a telephone number, the Times reported. An investigation revealed that Evergence was a dissolved Florida company that had been headed by Kosta Kovachev, but the phone number led to Dreier LLP. The ad reportedly generated 58 phone calls to Dreier’s firm, according to the Times. During a subsequent deposition, Dreier acknowledged that Kovachev was his client and that he had a second client involved in the case, Sheldon Solow, according to the Times. 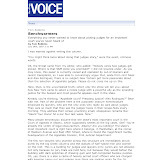 A lawyer for Kalikow, Stanley S. Arkin, criticized what he called Solow’s “irrational animus for [Kalikow],” but he reserved his sharpest jab for Dreier. “He was facilitating an angry and vicious assault on his client’s perceived enemy,” Arkin told the Times. A Solow spokesman declined to comment. Mr. Kovachev, who is expected to appear in court today, could not be reached for comment this morning. If you put your ear to the ground you can almost hear it. Almost. The trickle of Madoff-related lawsuits is turning into a stream. Among the latest defendants: the two largest institutional investors in the Madoff fund — Tremont Group Holdings Inc., a hedge-fund owned by Massachusetts Mutual Life Insurance Co.; and Fairfield Greenwich Group, Walter Noel’s hedge-fund. Bloomberg’s call to Tremont was not immediately returned. Massachusetts Mutual spokesman Jim Lacey didn’t have an immediate comment. Noel’s Greenwich Sentry fund and Fairfield Sentry fund invested $7.5 billion million with Madoff, jeopardizing investors’ interests while collecting “millions of dollars in fees,” the complaint, filed Dec. 19 in New York State Supreme Court, reportedly says. “FG defendants failed to perform even a minimum level of due diligence regarding the activities of Madoff,” the complaint says. Here’s the Bloomberg report. Noel and other defendants didn’t immediately return Bloomberg’s calls seeking comment. Fairfield Greenwich spokesman Thomas Mulligan declined to comment to Bloomberg. Meanwhile, 61 year-old Phyllis Molchatsky, a New York woman who lost nearly $2 million investing with Madoff, is aiming her ire at the SEC. Molchatsky, reports the WSJ, sued the SEC for $1.7 million, alleging the agency was negligent in failing to detect the alleged fraud . The SEC’s “statutory purpose is to protect the public interest. We feel they fell down on the job in this instance,” said Howard Elisofon, a former SEC enforcement attorney and the lawyer representing Molchatsky. The SEC declined to comment. An administrative claim for relief, notes the Journal, is the first step in filing a lawsuit against the government. If the SEC doesn’t negotiate or respond to the claim within six months, the investor can file a lawsuit in federal court. “It’s an uphill battle to succeed with this,” Gregory Sisk, a law prof at the University of St. Thomas School of Law, told the WSJ. He said courts are reluctant to find that government agencies should act as insurance against any losses. A broker who allegedly helped disgraced attorney Marc Dreier market millions of dollars in bogus promissory notes to hedge funds was arrested Monday night. According to a criminal complaint unsealed yesterday in the Southern District, Kosta Kovachev posed as the comptroller of the real estate developer Solow Realty when Mr. Dreier attempted to sell a New York City hedge fund $115 million in notes that purportedly were issued by Solow. Mr. Kovachev, 57, was charged with a single count of conspiracy to commit wire fraud in violation of 18 U.S.C. §371. He was ordered held at his initial appearance before Magistrate Judge Frank Maas late yesterday. 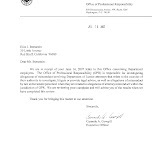 Meanwhile yesterday, a panel of the Appellate Division, First Department, suspended Mr. Dreier from the practice of law, effective immediately, "on the basis of uncontroverted evidence of serious professional misconduct." 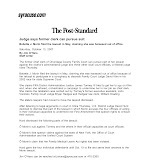 (The First Department opinion is on page 6 of the print edition of today's Law Journal). There may be more charges to come in the Dreier case, as the criminal complaint states that Mr. Kovachev joined the conspiracy with Mr. Dreier and "others known and unknown." In 2006 and 2007, Mr. Dreier allegedly sold to a New York City hedge fund promissory notes with a face value of $115 million purportedly issued by Solow Realty. But in 2008, when the notes were not repaid in time, a hedge fund employee sought reassurance from Mr. Dreier and asked to meet with representatives of the developer at Solow's offices. Mr. Dreier agreed and arranged a meeting at Solow for Oct. 15, 2008, without the knowledge of the real estate firm. At that meeting, the criminal complaint alleges, Mr. Kovachev pretended to be Solow's comptroller and answered questions about the company's finances. Later that month, Mr. Kovachev, this time as himself, contacted the founder of another hedge fund for whom he had worked as a broker. Mr. Kovachev allegedly told the founder about the Solow notes and put him in touch with Mr. Dreier, who then sold the fund a $25 million note for the bargain price of $13 million. Finally, when an employee of a third hedge fund wanted to speak with Solow's chief executive officer in connection with the purchase of $100 million in notes, Mr. Kovachev got on the phone and impersonated the executive. Federal officials said Solow was uninvolved in any of the transactions. Mr. Dreier had access to the offices of Solow Realty because he had done extensive legal work for the company. "The company never authorized Mr. Dreier to negotiate any financing or issue any promissory notes on its behalf," a spokesman for Solow Realty said in a statement yesterday. The spokesman added that "as soon as the company learned that fraudulent and forged instruments purporting to be obligations of Solow Realty were circulating, the company reported the facts to the U.S. Attorney's Office and we have been cooperating fully with the investigation." In the criminal complaint against Mr. Kovachev signed on Dec. 18 by Southern District Magistrate Judge Theodore Katz, Criminal Investigator Jordan Goodman of the Southern District U.S Attorney's Office said he interviewed Solow's chief executive, who assured him, "The developer did not issue any of the notes described above and has no note program." It was that same executive who told Mr. Goodman that the signatures appearing on the notes were forgeries. Financial statements provided by Mr. Dreier to the hedge fund, Mr. Goodman said in the complaint, "were entirely fabricated." Mr. Kovachev, the investigator said, had an electronic pass that gave him access to Dreier LLP and also had access to computers and offices at the law firm. At yesterday's hearing before Magistrate Judge Mass, Southern District Assistant U.S. Attorney Jonathan Streeter convinced the court that Mr. Kovachev was a risk of flight and should be held until he can post a $300,000 personal recognizance bond guaranteed by three financially responsible parties and put up $100,000 in cash or property. Magistrate Judge Maas said it was "a close call" but he was persuaded by two factors. The first was that Mr. Kovachev had traveled extensively to countries from where it would be more difficult to extradite him should he choose to flee. 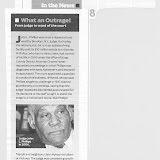 The second was Mr. Streeter's statement that " . . . we know from our investigation that Mr. Dreier paid people up to $100,00 to engage in impersonation in a single phone call." But Andrew Rendeiro of Flamhaft Levy Hirsch & Rendeiro in Brooklyn, who represents Mr. Kovachev, said he was confident his client could meet the bail conditions within a few days. Mr. Rendeiro said, "Eventually, when the money trail is chased you will see hundreds of millions [went to] Mr. Dreier, 99.9 percent of it" and only a small percentage to his client. Mr. Rendeiro said his client, the father of five, had already been linked to Mr. Dreier and, had he been prone to flee, would have done so in the immediate aftermath of Mr. Dreier's arrest. Mr. Kovachev lost his broker's license in 2006 when he was implicated in a $28 million Ponzi scheme in which he and 11 others defrauded some 600 investors through the sale of unregistered securities structured as hotel timeshare rental interests. He was not criminally charged in the matter and denied any wrongdoing in a settlement with the Securities and Exchange Commission in which he paid $358,148 in disgorgement and penalties. The New York Times reported in July 2004 that Mr. Dreier said Mr. Kovachev, then head of a dissolved Florida company called Evergence Capital Partners, was a client of his law firm. 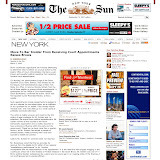 In a dispute between Solow Realty and developer Peter Kalikow, Mr. Solow and Mr. Dreier hired Evergence to place newspaper ads listing ex-creditors of Mr. Kalikow, the Times reported. Mr. Dreier was arrested on Dec. 2 in Toronto on an impersonation charge and on Dec. 7 in Manhattan on securities and wire fraud charges for what prosecutors now say is a $380 million fraud. He has remained in custody without bail as his 250-member firm, Dreier LLP, has imploded and gone into bankruptcy. What is left of the firm's assets and client escrow funds is in the custody of receiver Mark Pomerantz of Paul, Weiss, Rifkind, Wharton & Garrison, appointed by Judge Miriam Goldman Cedarbaum in a civil suit against Mr. Dreier by the Securities and Exchange Commission. [*1]In the Matter of Marc S. Dreier (admitted as Marc Stuart Dreier), an attorney and counselor-at-law: Departmental Disciplinary Committee for the First Judicial Department, Petitioner, Marc S. Dreier, Respondent. Disciplinary proceedings instituted by the Departmental Disciplinary Committee for the First Judicial Department. Respondent, Marc S. Dreier, was admitted to the Bar of the State of New York at a Term of the Appellate Division of the Supreme Court for the Second Judicial Department on May 5, 1976. (Vitaly Lipkansky, of counsel), for petitioner. Gerald L. Shargel, for respondent. 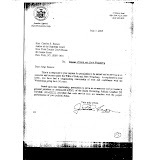 Respondent Marc S. Dreier was admitted to the practice of law in the State of New York by the Second Judicial Department on May 5, 1976, under the name Marc Stuart Dreier. At all times relevant to this motion, respondent has maintained an office for the practice of law within the First Judicial Department. The Departmental Disciplinary Committee (Committee) seeks an order, pursuant to 22 NYCRR 603.4(e)(1)(iii), immediately suspending respondent from the practice of law on the basis of uncontroverted evidence of serious professional misconduct. Respondent was the founder, and sole-equity partner of Dreier LLP, a 250-attorney national law firm. According to the Committee, he was also the sole authorized signatory on the Dreier LLP escrow accounts; only he was authorized to direct the movement of funds in and out of these accounts. 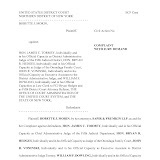 The uncontested evidence presented by the Committee to satisfy 22 NYCRR 603.4(e)(1)(iii) includes: (1) a detailed civil complaint and an application for preliminary injunctive relief filed by the Securities and Exchange Commission (SEC), alleging that respondent defrauded multiple investors by marketing and selling fictitious promissory notes to hedge funds and other investment funds, making a profit of at least $100 million at the expense of unwitting investors; (2) a sealed criminal complaint by the United States Attorney's Office; (3) sworn declarations from a number of attorneys at, and affiliated with, Dreier LLP attesting to the fact that the firm's escrow accounts, to which respondent was the sole signatory, had repeated shortfalls amounting to tens of millions of dollars; and (4) alleged admissions by respondent to third parties, as to, inter alia, at least two purported attempts to have funds from the Dreier LLP escrow accounts transferred to one of respondent's personal accounts. 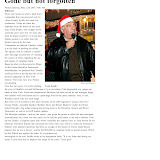 Respondent was arrested in Canada on December 2, 2008 for criminal impersonation. He was released on bail in Canada. He then returned to New York, and was arrested on the federal criminal complaint. A December 11, 2008 application for bail in New York was denied. The federal court appointed a temporary receiver for all of respondent's assets and for the firm's escrow accounts. Dreier LLP has also filed for Chapter 11 Bankruptcy. Respondent has declined to oppose this motion, because of the ongoing federal criminal case. His attorney states that respondent "will at this time, assert his Fifth Amendment privilege against self-incrimination". Thus, no facts are presented to controvert the Committee's submissions (see Matter of Boter, 46 AD3d 1,7 ; Matter of Berman, 45 AD3d 219, 222 ; Matter of Muraskin, 286 AD2d 186 ; Matter of Rodwin, 253 AD2d 67, 68-69 ). In view of the foregoing, we find that the Committee has met its burden on the motion (see 22 NYCRR 603.4[e][iii]). 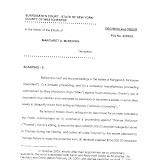 The evidence gathered by the SEC and the United States Attorney's Office, and the sworn declarations annexed to the Committee's motion, none of which are controverted, relate that respondent was engaged in a fraudulent scheme to sell investors fictitious promissory notes, for a profit of over $100 million; and converted tens of millions of dollars from the Dreier LLP escrow accounts. Accordingly, the Committee's motion should be granted and respondent should be immediately suspended pursuant to 22 NYCRR 603.4(e)(1)(iii). Tom, J.P., Gonzalez, Buckley, Jr., and Catterson, JJ. 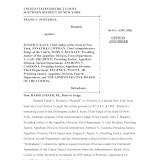 Respondent suspended from the practice of law in the State of New York, effective the date hereof, until such time as disciplinary matters pending before the Committee have been concluded and until further order of this Court. Opinion Per Curiam. All concur. "Mr. Fagan simply has no grasp of the truth"